As technology continues to advance, the way in which business is done evolves. 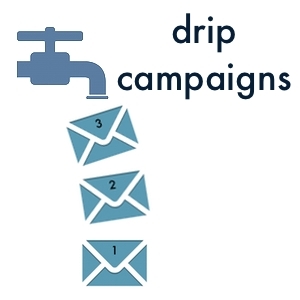 This has led many people to believe that Drip Email Marketing is an outdated marketing strategy, but that is not the case. Email has evolved too, and is now more than just a basic black and white method of mail delivery. Colorful newsletter templates and the ability to include video are just a few of the new options available. Email can now be filtered and tabbed to make it easier to organize, which is why roughly 72% of adults claim that email is their preferred way to be contacted by businesses, when compared to other marketing methods. It certainly helps that smartphones can now fit our inbox into the palm of out hand. People can now access their email on the go, which is why companies need to make their messages fast and to the point. Customers always like to feel as though a company is talking to them directly, which is why personalizing an email is always a good way to add a personal touch to marketing. You can also add to that feeling by sending a happy birthday email or offering discounts on the anniversary of a person signing up for your mailing list. All of these techniques help make the customer feel special, and may even inspire them to make a purchase when they weren’t really planning to. If you want to reach a wider audience, it’s clear that email is the best way to go. We are not suggesting that you go out and cancel all your social media accounts, as the two mediums cab actually work together quite nicely. For example, you may want to consider adding a basic sign-up form on your social media pages. An email marketing strategy does not need to cost a lot of money, so you can expect a much greater ROI than you would get from other techniques. Even if you don’t get a great response rate from your email marketing campaign, you are still likely to come out ahead, which is not something that can be said for print advertising and other forms of advertising. The biggest expense that you will have with an email campaign is time, which is certainly better than doling out a lot of money on an expensive 30-second radio spot. Brainshark believes that adding video to an email can boost the open rate by as much as 20%, whilst also improving the click through rate by 2 to 3 times. Letting your customers know that there is something to watch within the body of your email is as simple as adding the word “Video” to the subject line. Doing this regularly can reduce your unsubscribe rates by as much as 26%. If the only change you make to your email campaigns is to add video, you should still see a spike in your business. Email marketing is like the perfect blend of the old and the new, and should be considered a must in any marketing campaign. 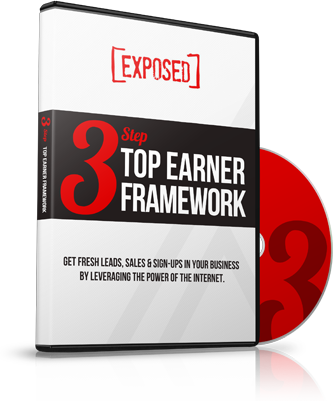 This is your chance to reach a huge audience, and all without spending a lot of money.